Fiber is a component of complex carbohydrates, found especially in whole grains, fruits and vegetables. There are two categories of fiber: soluble and insoluble. Each has a different role in the body, but both are essential for the health of many body systems. Because fiber is not easily digested and most is not absorbed, the teeth have a significant role in the initial breakdown of fiber. 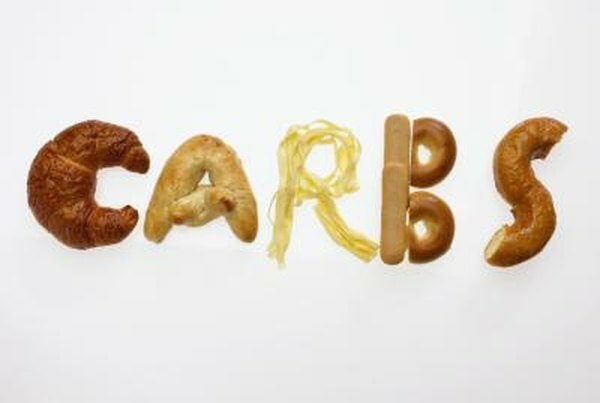 Most simple carbohydrates will break down with only the help of saliva. According to the Institute of Medicine, the dietary reference intake, or DRI, for fiber is significant. For men ages 19 to 50, fiber intake should be 38 g; for men over the age of 50, this drops to 30 g. Women ages 19 to 50 should aim for 25 g and then reduce to 21 g beyond 50 years of age. People who are far below from these goals should gradually increase fiber intake. Starting slowly and working your way to the recommended levels may reduce the likelihood of gastrointestinal distress. Insoluble fiber is as its name states -- indigestible. The digestive tract cannot break down the fiber, and it will not be absorbed into the body. Insoluble fiber adds bulk to the stool and therefore reduces the transit time through the intestines. This type of fiber is found in wheat bran and other whole grains as well as vegetables such as carrots, potatoes and cabbage. Apples also contain insoluble fiber, as do pears and prunes. Soluble fiber, when digested, absorbs water, giving it a gel-like consistency. Oat bran is high in soluble fiber, as are barley, nuts and seeds, psyllium, lentils, peas and other legumes. Apples also make this list, and so do strawberries and citrus fruits. Soluble fiber slows the digestive process and helps maximize nutrient absorption. Soluble fiber helps control diabetes by preventing spikes in blood glucose levels. According to the Merck Manual, this type of fiber also can lower cholesterol levels, which is an important element in preventing cardiovascular disease. Insoluble fiber prevents constipation by keeping everything moving through the digestive tract. This also helps prevent diverticulosis, caused when pockets form in the large intestines. Insoluble fiber has been shown to inhibit certain cancer-causing substances within the colon, which according to the National Cancer Institute, is the second leading cause of cancer-related death. Getting adequate fiber can also help with weight control since fiber increases satiety.